Roughly an hour outside of Pyeongchang, the epicenter of the ongoing 2018 Winter Olympic Games, a gaggle of researchers and robots showed up in full force Monday to compete in their own tournament. 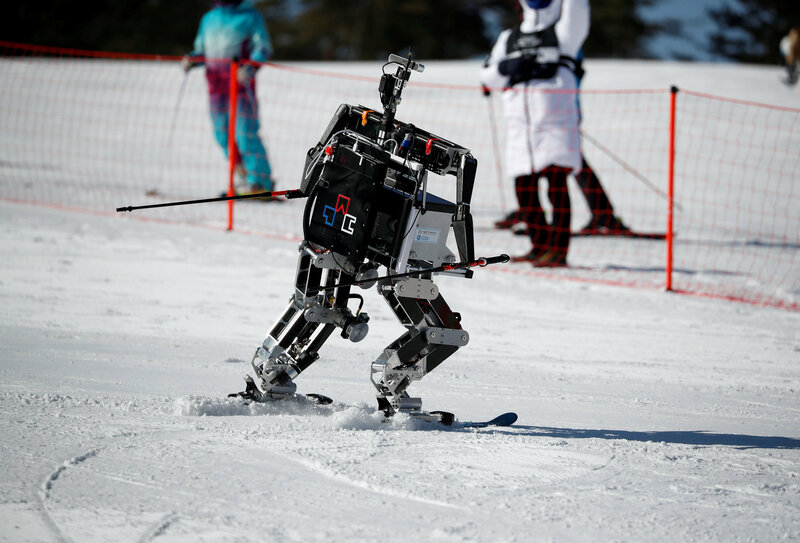 Dubbed the "Edge of Robot: Ski Robot Challenge," eight robotics teams gathered at South Korea's Welli Hilli ski resort to compete for a prize of $10,000, Reuters reported. 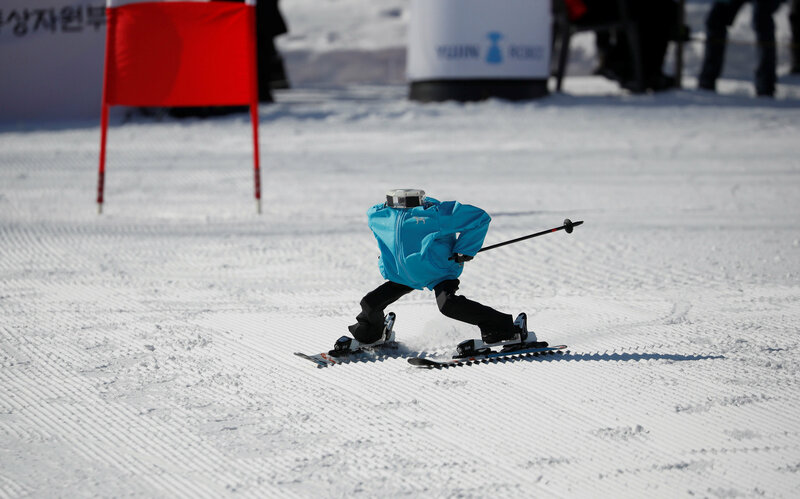 The ski games are ultimately aimed at promoting the country's robotic technology to a world audience. In order to be able to participate in the games, the teams had to make sure their robots were taller than 50 centimeters, could stand on two legs with joints resembling knees and elbows, have an independent power system and, of course, be able to maneuver skies and poles. Participating bots were also equipped with camera sensors to detect the blue and red flag poles that marked out the path. ​"I think in the future, robots will have their own Winter Games on the sidelines of the Olympics held by humans," Kim Dong-uk, an organizer with the robot tournament, told Reuters. Robot Tae Kwon V skies during the Ski Robot Challenge at a ski resort in Hoenseong, South Korea, February 12, 2018. The gold medal was ultimately given to Taekwon V, who was also the smallest of all the robots at just 75 centimeters tall. Winners were declared after officials determined which bots managed to not touch the flag poles and which completed the course the fastest.